The recycling truck must have been late that morning. LOL! Hey I wanna try the yuzu one! 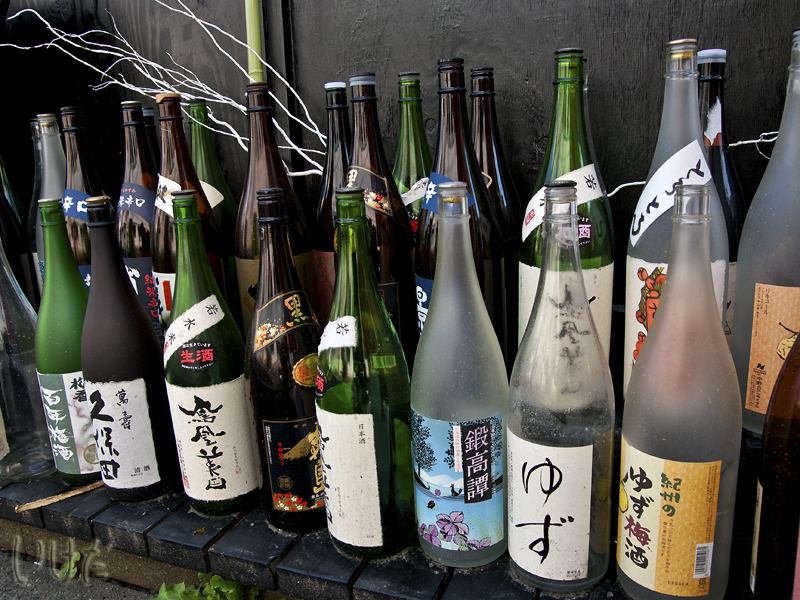 Lots of sake bottles! I hope life is getting back to "normal!" Wow! That's a whole LOT of sake bottles. They look expensive, too. That's just a night's worth. Back to merry-making, eh?